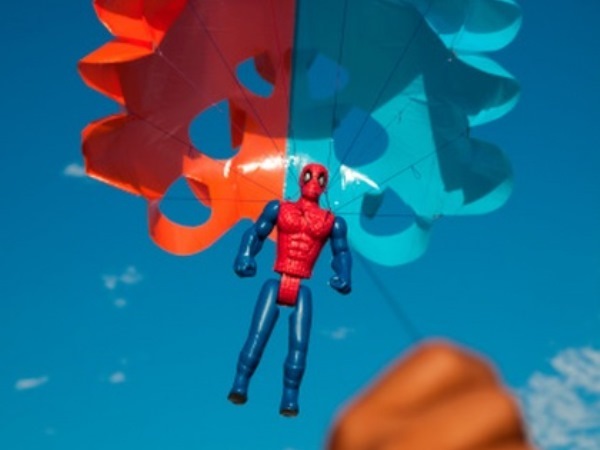 South African children would prefer having fictional characters like Spider-Man as president instead of President Jacob Zuma, according to a survey released on Tuesday. According to website Parent24's kids nation survey, 38 percent of children surveyed would prefer having the web-slinging superhero run the country. Peter Pan's fairy friend Tinkerbell came second with 31 percent, while the absorbent, yellow, porous phylum Porifera who lives in a pineapple under the sea, popularly known as Spongebob Squarepants, got 17 percent. Real-life personalities came out at the lower end with former president Nelson Mandela getting eight percent, and Canadian pop sensation Justin Bieber five percent. Zuma, and meat-wearing pop diva Lady Gaga received no votes. Parent24 said in a statement that the survey results reflected the views of about 2700 parents and their children, from nine provinces. The ages of the children ranged from one to nine. The parents completed the survey online, and helped to answer the children's questions on their behalf. "We found the results of the survey intriguing," Parent24 editor Scott Dunlop said. "The diverse responses allowed us into the homes of SA's parents and revealed some interesting, funny and curious insights." The results were published on the website in the form of charts with cartoon pictures of Russian dolls and a rubber ducky. The survey found 16 percent of children swear, and 32 percent used "the f-word". Forty-one percent of parents believed that reasoning with the child was the best form of punishment, while 30 percent preferred a "smack on the bum". Educational psychologist Catherine Radloff said in a statement that the 30 percent figure was distressing. "It can be tempting to think that a smack sorts out disobedience or bad behaviour in a child. However, numerous studies have found that physical punishment increases the risk of broad and enduring negative developmental outcomes," she said. "Smacking a child sets a bad example of how to handle strong emotions. It may also encourage children to lie or hide their feelings to avoid being smacked and can lead to a resentful and angry child." Broccoli won the role of the most hated vegetable, with 35 percent. A total of 62 percent of children eat take-aways up to three times a week. "When it comes to feeding your child vegetables, presentation and variety may be the key. The greater the variety of nutritious choices presented to a child, the more likely the child will choose adequately," nutritional therapist and health coach Cara van Heyningen said. "Children eating more take-aways on such a regular basis is a big concern as it has been shown that eating fast-food meals more than once a week is a major contributing factor of childhood obesity." According to the survey 23 percent of children surveyed had their own cellphone or tablets, while 75 percent helped with chores. With regards to the children's future, 43 percent of the parents surveyed wanted their children to be doctors, and 29 percent wanted them to become engineers. One percent wanted their children to get into politics.